It’s a new world with the Connection Storymaker app. We will be using it for a number of events this fall, inviting participants to send in their stories in advance using the app. APP-ORTUNITY AWAITS. 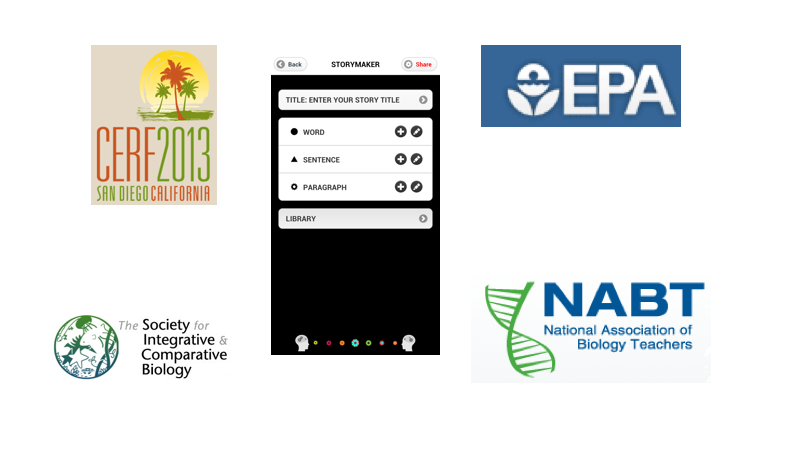 Events using the new Connection Storymaker App are now in the works with EPA, CERF, SICB, and NABT. OMG! One of the nice features of our new Connection Storymaker app is the SHARE button that lets you email your WSP elements once you’ve input a story. We’re working on three events now with 1) National Association of Biology Teachers, 2) the keynote I will be giving at the EPA Children’s Health Conference in D.C., and 3) a special panel we’re doing on sea level rise at CERF (Coastal and Estuarine Research Federation). And also in January I will be giving the keynote at SICB and we’ll be doing stuff with the app for that as well. For each case we’re going to be making the app downloadable for free for members, then encourage them to use it to break their stories down into the WSP Model, email them to us, then we’ll select a few to present during the sessions. What’s different about this from just the usual, “send us your stories,” is that we’re providing the two templates — the ABT and the Logline — to make sure people don’t send in long winded rambles that are hard to follow. This is what’s cool about the WSP Model — it imposes the logic and structure of story on what you have to say. #303) KINDLE: The book is finally up! Sorry for those of you who had to wait, but the book is now available on Kindle. 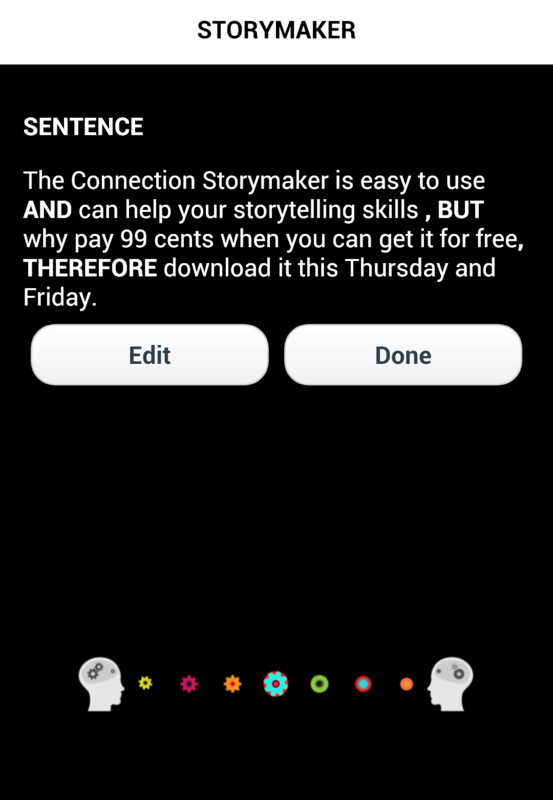 Also, next Friday, October 4, will be FREE APP FRIDAY where the Connection Storymaker app will be available for FREE download at the App Store for the day. Start planning now if you want to have a class or a group all download it for free and try it out together. SAVE THE TREES. Download the book on Kindle today. Just in time for Amazon’s very cool new Kindle Paperwhite! New book, new app, means new version of the workshop which is way better. We had SUCH a good version of it last week in Kansas. Here’s how the new incarnation goes. SYNOPSIS: Think of a story. This is a workshop that will help you make that story more concise and compelling. 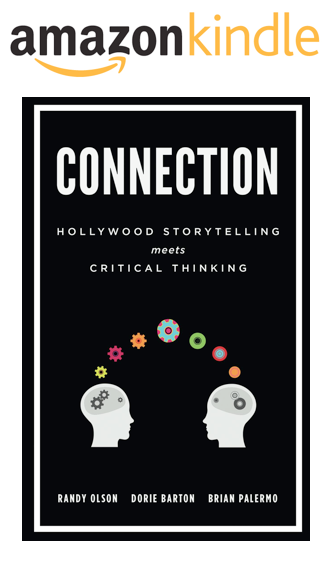 At the core of the workshop is our new WSP Model for broad communication (one Word, Sentence, Paragraph) presented in our new book, “Connection: Hollywood Storytelling meets Critical Thinking” by Randy Olson, Dorie Barton and Brian Palermo, and in our new Connection Storymaker app. The workshop consists of two parts — a large public presentation followed the next day by a 3 hour workshop with 10 participants. The presentation is interactive, involving numerous storytelling and improv exercises with the audience, culminating with the presentation of the WSP Model. After the presentation the participants download the Storymaker app (made available for free for participants) and enter a story they are working on which is then brought to the workshop. In the workshop the participants (up to 16 per group) present the Word and Sentence of their stories, then two are selected for further development by the group using the Paragraph template. The Storymaker app serves two purposes — as a tool to organize and structure stories, and as a long term means of developing stronger story sense, which is the essence of effective broad communication. The other part of the workshop is an hour of improv exercises which help make stories more relatable and offset the channelizing tendencies of templates. Yes, we know there are now lots of great books and workshops about “storytelling.” What we offer is different. Our workshop is about the structural process of making stories. It’s about the elements that are needed to construct a story that will take an audience on a journey. And why are stories even important? Because they are the core of effective broad communication. Stories and narrative dynamics are the essence of how you take a message that is specific to your small group of like-minded individuals and make it of interest to the general public. If you don’t have a solid grip on narrative dynamics it’s pretty unlikely you’ll be able to reach the broad audience with what you have to say. THE CONNECTION STORYMAKER APP. This is the centerpiece of the workshop. It is the tool that all workshop participants use to craft and develop their story. It is easy to learn (takes less than a minute) but lends itself to endless complexity. 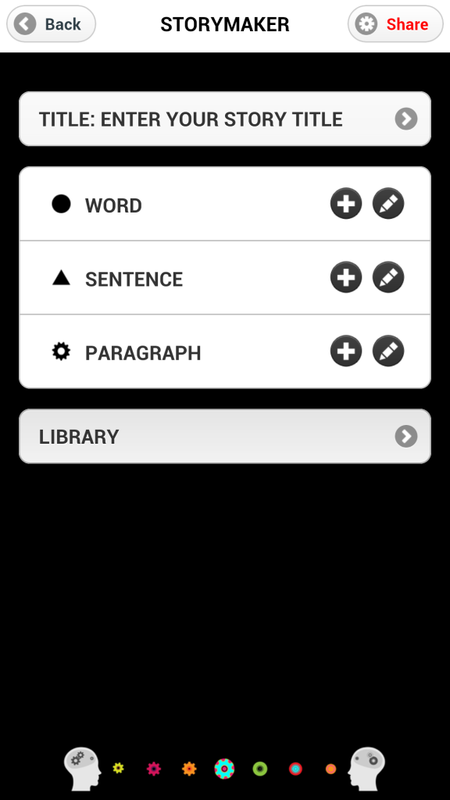 And with the LIBRARY function you can store all the stories you’re working on for later development. We’ve been running our Connection Storymaking Workshop for 3 years, but suddenly it’s a whole new world. From here on, everything is “pre-App” and “post-App.” And when we talk about the app, we’re really talking about the WSP Model. So here’s how the new version of the workshop goes. The Storymaker App is incredibly simple. You can learn it in less than a minute. That’s not commentary on how “light weight” it is. It’s commentary on how profound it is. As I say in the book, quoting Walter Isaacson, “simplicity is the ultimate sophistication.” Simplicity is also the key to effective broad communication. Bingo. That’s what we’re talking about here. Out of simplicity can arise complexity. Don’t be surprised or disappointed with how simple the app is. Simplicity is what you want and need. The IMMEDIATE goal is to help you with stories you are currently working on. The ULTIMATE goal is to strengthen your “story sense” — which means your intuitive powers of narrative structure and storytelling. Malcolm Gladwell talks about needing 10,000 hours to move from the cerebral to the intuitive. Our workshop starts you on that journey for storytelling. Let me put it this way — one of the readers of an early draft of our book said to me, “The writing in your section is at it’s best when you’re telling stories.” She meant that I go through some facts which are okay and “interesting,” but then I say, “Let me tell you the story of a non-storytelling President who was saved by a story …” and it all gets A LOT more readable and interesting. That’s it in a nutshell. You slip into narrative mode, the audience draws closer. Ronald Reagan used to tell stories. Audiences loved it. Obama doesn’t tell stories that much. He’s a little boring by comparison. People love stories. And not false, fabricated, incorrect stories. They just like their 100% accurate facts to still be wrapped inside of a narrative structure. This is a fact. And this is what we work on with the Storymaker workshop. We begin the workshop with a big presentation by Dorie, Brian and myself. We call it a “presentation” because it’s definitely NOT a lecture. It’s lively and interactive with the audience. I do a bunch of storytelling exercises that we have created — like the “start a story” exercise and the “ABT game.” Dorie does “crowdsourcing a story,” and Brian does a number of improv exercises with audience members, as well as just doing his normal improv work having fun with the audience in general. Last week in Kansas people were howling with laughter and three 14 year olds stole the show when it came to creating original stories (they were sci-fi lunatics who crafted a story about a “bi-species planet”). It was huge fun. And it also introduced the fundamentals of storytelling that we use in the workshop on the following day. But keep in mind this isn’t just silliness. The whole idea of what CONNECTION is about is bringing a more critical perspective to the telling of stories. 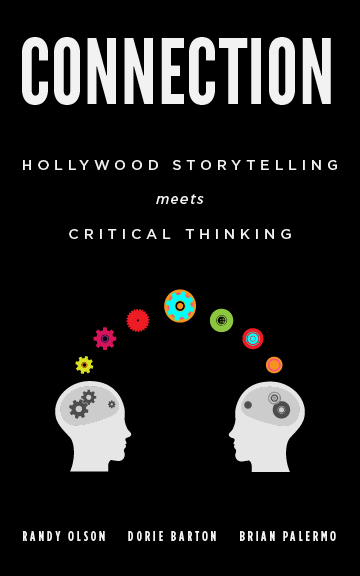 There is a SCIENCE to the art of storytelling which is the “science” of narrative structure. This what we are conveying through our partnership of a former scientist (me) with two actors (them). THAT is the connection the whole thing is titled after. It’s not absolutely required that the workshop be a day later. It could happen on the same day. But I think for all future versions of the workshop I’m going to do my best to ask that it happen at least a day later, in part because of what we saw last week in Kansas. By the end of the big presentation the audience was very inspired, charged up (how could you not be with Brian barking at you! ), and full of new thoughts. The next morning when they showed up for the workshop, literally THREE of them told me they had trouble sleeping because their heads were so filled with new ideas. I’m not exaggerating and I wasn’t surprised. The WSP Model can do that. If you’ve never had anyone expose you to this process of using two simple templates to structure your stories, it can easily fill your head with new ideas. It’s very powerful. Particularly now packaged in the Storymaker App. 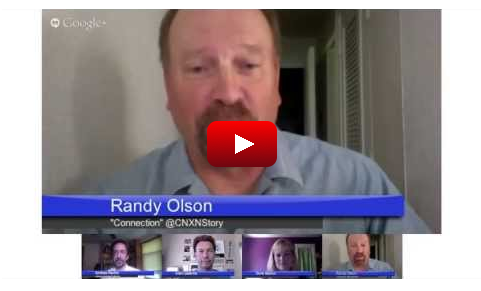 So we ask everyone to have a story that they want to use to convey an issue or major point. We want them to show up saying something like, “I want to tell a story that will convince people of the need to protect wetlands.” They could have a long list of facts on why wetlands need to be protected. But one powerful story can do the job better. So that’s our goal. We ask that the story be broken down already, using the app, into the WSP elements (one word, one sentence, one paragraph). For the second hour we bring in the wild man, Brian Palermo, to run a series of improv exercises that are accompanied with his detailed explanation of the purpose of each exercise — how the process teaches you to LISTEN, to be CREATIVE, to be more HUMAN and RELATABLE. He is really the secret sauce in our process. It’s one thing to present the WSP Model which almost speaks for itself, but without Brian it would be easy to slip into a robotic direction. You have to keep the storytelling alive, human and relatable. He makes sure that happens. In the third hour we split into two groups. Each one takes one of the selected pitches and sets to work on it using the paragraph function of the app, which is the logline maker. Together we hammer out the 9 elements of the heros journey to the best of our ability. And in so doing you begin to discover the power and basic properties of each element — like the fact that TAKING STOCK is actually one of the most interesting and compelling parts for the broad audience (i.e. the decision making process), or that it is most powerful if the LESSON LEARNED is related to the FLAW in the protagonist. Basically a whole bunch of elements that light fires in the minds of the storytellers. And cause them to lose sleep eventually because they are so inspired and full of new thoughts. I know this probably sounds like rabid salesmanship, but just look at what our host last week, Dr. Steve Case of the University of Kansas had to say about the whole workshop. Well, for this workshop you will at least be left with the app, which is a communications tool that needs to be put to use on a daily basis. For every presentation, every story, every case history it’s worth at least doing a quick run with the WSP Model just to make sure you’ve thought through the structure. This is one workshop that won’t leave you empty handed. 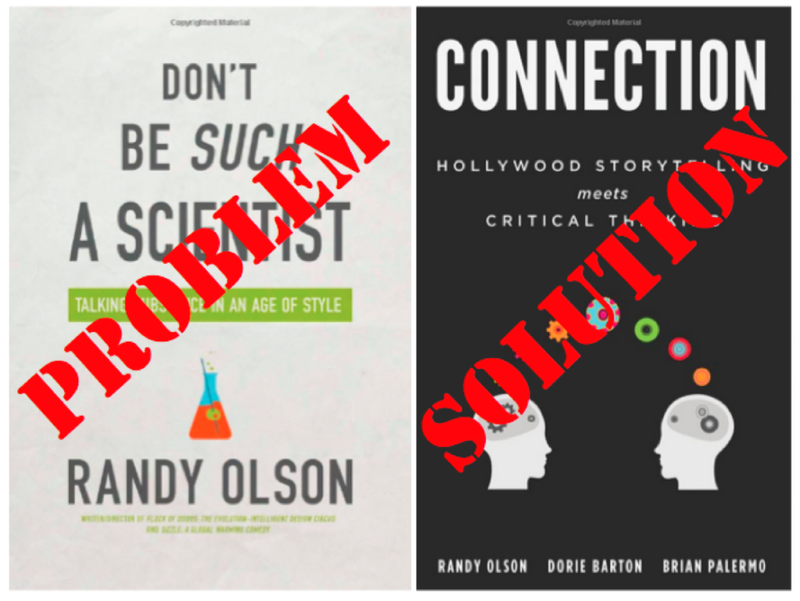 With “Don’t Be Such a Scientist” (first book) I offered up a critique of science communication for which some rightfully replied, “Okay, so what’s the solution?” The new book, “Connection: Hollywood Storytelling meets Critical Thinking” answers by advocating and demonstrating: 1) collaboration with less cerebral partners, 2) a more critical (structured) approach to storytelling, and 3) the WSP Model. WE’RE NOT IN KANSAS ANY MORE. 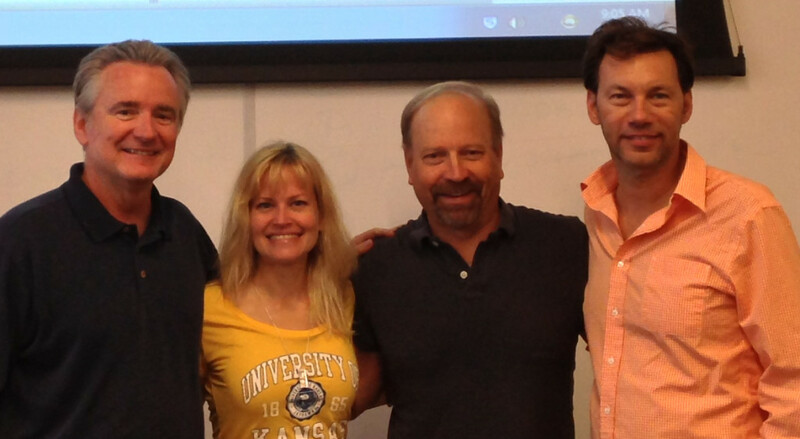 But we were for 3 wonderful days — hosted by Dr. Steve Case (left) of the University of Kansas (who was one of the stars of my movie, “Flock of Dodos,”) where we launched the book and the reborn version of our Connection Storymaker Workshop. It was a great and productive trip. Next stop for our traveling road show will be the Monterey Bay Aquarium, October 16-17. The new book is oriented at the entire world. It’s not written for the science world, and because it doesn’t have the word “science” in the title probably will be dismissed by some of the more literal-minded science folks. But it provides the solutions yearned for by critics of the first book. Here’s the three most important recommendations. “Don’t tell us, show us.” They drilled this into our heads in film school. I’ve done my best to follow it with this new book. With my “nerdloop” essay a couple of years ago I implored the science world to quit moving so much in the cerebral direction with endless research, and instead reach towards the more intuitive, visceral, experiential direction. Which is what I have done. Instead of forming a partnership with two academics, I put in 20 years of learning the craft of acting (starting in 1994), learning the language of actors, forming friendships with actors, working with improv instructors, and finally out of the hundreds of actors I met in those 20 years, I chose the two very best for the mission. They both have not only great acting skills, not only great technical skills (story analysis for Dorie, improv acting for Brian), not only great people skills, but most amazing of all, they both have a genuine interest and curiosity about so much, including science. Which is invigorating. Most importantly, they bring to the project what I lack — the practical, experiential, visceral side of storytelling and communication. As I said in the Revkin video last week, the other folks who have figured out this need for partnering academics with the more practical side of communication are the people at the new SUNY Stony Brook Alan Alda Center for Science Communication. They have partnered with a legendary comic actor, Alan Alda. This is what is needed. The academics have the cerebral side covered. It needs to be about collaboration. Academics by themselves will never overcome the communications challenge. They need to extend a hand in the more practical direction. Which ultimately means reaching back towards the humanities (that have been trampled over by the sciences on many campuses). Do you even know what a story is? Once I finally got sensitized to the structural side of storytelling I became shocked at the number of people who think they are telling a story yet aren’t. A shopping list of information is not a story. Which has left me amazed at the number of people teaching entire workshops on storytelling who think that just telling everything about where you’re from is “telling your story.” You can call it “a story,” but if it’s not structured, it’s destined to be boring. A story begins when something happens. Simple rule. Complicated consequences. You want to tell better stories? You need to learn how stories are structured. That is the essence of our “critical storytelling” advice. It’s the core of what we have to offer. We saw it at work formally for the first time last week at K.U. in the reborn version of our Connection Storymaking Workshop. One word, one sentence, one paragraph. Infinitely simple. Infinitely complex. Out of simplicity arises complexity. It’s that simple. And now with the app it’s pretty easy. I don’t want to go into detail on the WSP here. Download our new Connection Storymaker App for your Iphone or Android Phone. It will do two things for you. First, it will help you construct more concise and compelling stories. Second, over the long term it will help you build a stronger “story sense” — meaning the instinct to simply sense what is missing from a story and how to improve it. The better science communicators become with their basic sense of what is and is not a concise and compelling story, the better science communication overall will become. My first book pointed towards improving communication, but I knew it lacked much of the needed specifics. I never argued with the people who complained about this. Now I have addressed it. This book is filled with specifics. And it doesn’t get any more specific than the WSP. #300) Our New CONNECTION STORYMAKER App! Tell your friends — tell EVERYONE — go to the App Store and download our new CONNECTION STORYMAKER app for free for the next couple days, and have fun with it. Make up stories and email them to your friends. Input silly stories, input serious stories. Get a feel for it. It’s very easy to learn, but is limitless in its uses. Also, Andy Revkin gave us a chance to explain and demo the app in a Google Hangout on his NY Times blog Dot Earth on Monday. THINK OF A STORY. This is your tool to find the structure in that story. And for a limited time, it’s FREE! (kinda like until Friday) In this Google Hangout on Andy Revkin’s NY Times blog Dot Earth (chosen this year by TIME magazine in their Top 25 List) we demo the app. If you watch the video you’ll pretty much know all you need to understand how to use the app. Time to celebrate the 300th post of The Benshi by announcing the release of our new CONNECTION STORYMAKER app! It’s been all year in the making, and is finally finished. And for a couple days, to get folks engaged, we’re making it free on the App Store for your iPhones. So go for it — I think you’ll enjoy it. Here’s a brief video to give you a feel for the app. 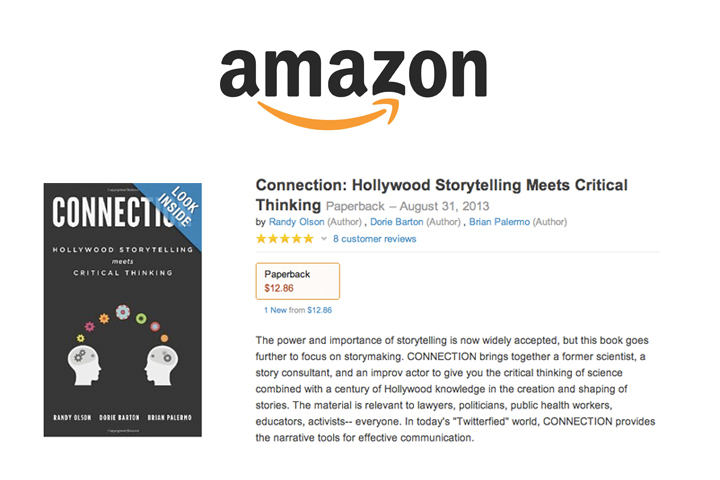 Time to spread the word, our new book, “Connection: Hollywood Storytelling meets Critical Thinking,” is now for sale on Amazon. THREE VOICES. It’s been a long summer of writing and rewriting, but we’re very happy with how it ended up. Hope you enjoy reading it as much as we did creating it. It’s official — you can now purchase your copy of the book on Amazon. It will take a few days for the Kindle version to be available, but it is also in the works. We appreciate all Amazon Reader Reviews. On Monday we will announce the official start of EVERYTHING. Stay tuned for that post as we have more to share. There’s a great article this morning on the New Yorker website by Adam Gopnik titled, “Mindless.” Like a good “mirror neuron” (assuming they even exist in humans which he thankfully questions), he mirrors much of what I’ll be saying (in my limited and tiny way) in our new book. He says we should be somewhat “neuro-skeptical” of all the gee whiz brain science popular books, and that “neuro-redundancy” throws a wrench in most of the great simple stories of brain science, and he even poops a bit on the old right brain-left brain oversimplification. Yay! ANY DAY NOW. The Amazon page for our new book should be opening up sometime later this week. We will announce it here immediately. In the meanwhile, read the Gopik article — it’s excellent. GOPNIK FOR PRESIDENT OF THE P.B.S.S. (POPULAR BRAIN SCIENCE SOCIETY)! On the third page, in reference to yet another fundamental question in neuroscience, he says the answer to this question, like most others, “turns out to be both simply mechanical and monstrously complex.” Bingo. That’s it, in a nutshell. Ain’t no such thing as simple brain science. It’s COM-plicated. There is so much to this article that “mirrors” the tone of our new book. He begins by addressing the same cerebral-visceral divide we focus on. He uses Mr. Spock and Captain Kirk to embody the two worlds, as well as pointing to the age old literature of such polar opposite characters. And guess what such polar opposites produce — “conflict” — the “life’s blood” of storytelling as I quote Robert McKee who says, “conflict is to storytelling as sound is to music.” So why do you think so much is written about such pairings — because they make for good STORYTELLING. Perfect article. Thank you Mr. Gopnik for putting into words the proper approach to neuroscience. He makes a point to say it’s not all useless. Psychology is an important field. It’s just that our storytelling tendencies draw us towards big, broad, simple, exciting, happy, fun stories, whether true or not. Endlessly. And THIS is why I will be giving several keynote addresses to major science organizations next year titled, “Storytelling: Now Mandatory Training for Scientists.” The time has come for every scientist to receive this training at the very start of their science career. It’s not a bunch of silliness. It is essential if science is to continue being the pursuit of natural truths that it has always sought to be. There is an observer uncertainty factor (NOT to be confused with the Heisenberg Uncertainty Principle we had drilled into us in freshman chemistry, but is now being misunderstood thanks to a certain high school chemistry teacher on the greatest TV show ever made, “Breaking Bad”!). The bottom line is that this stuff is deep and needs to be at the forefront of the science world. It’s more than “just a communications issue.” It is science in it’s entirety. Last year he conceded the biggest failure of his first term was his “failure to tell a story to the American people.” That shortcoming is now the central problem in his efforts on Syria. Where is the speech that tells the story of the history of weapons of mass destruction and why this is a pivotal moment in time? No story. No persuasion. No mass support. No understanding the desire for military action. Such is the power and importance of storytelling. OBAMA’S GREATEST FAILURE. This was the interview in July, 2012 where he conceded his failure to tell a story to the American people. Notice he dives in with a solid “And, But,” but … he gets lost on the “Therefore.” Nice guy, just not good with the narrative dynamics, which is sadly essential to be an effective president. I heard a commentator on NPR Saturday morning, pinpoint this in the discussion of Obama’s speech on Syria. He noted the failure of Obama to tell any sort of story about the nerve gassing incident in Syria. The result is despite being several days since the horrific story broke, Obama has done nothing to communicate it to the American public in a narrative context that would sway them into supporting military action. I open our new book talking about his interview with Charlie Rose in July, 2012 where he conceded he’s not good at storytelling. That shortcoming is now proving to be painfully clear and costly.